Cheating Partner there’s nothing worse than the suspicion that your partner or spouse, the most important person in the world, has betrayed you by sharing intimacy with another person. This person knows all your secrets, you’ve dedicated years of your life to them, they are your rock, you’ve supported them and made sacrifices. No doubt you’re feeling anxious, worried that you’re being paranoid and blowing it all out of proportion, seeing things that really aren’t there. You can’t eat, it’s effecting your work and concentration. I imagine you’re starting to doubt yourself and wandering if something is wrong with you. Well, if you’re experiencing these suspicions, it’s usually for good reason! 95% of the cases we investigate our clients are correct. You will have picked up on a number of behavioural changes or events which have lead you to doubt the integrity of your partner.  Click on the below link to see what the tale tale signs of an affair are and see how many behaviours you’ve identified if your suspicious of a cheating partner. Maybe you’ve approached your partner regarding your suspicions and they’ve denied it? This is very common and referred to as ‘Gas Lighting’. I imagine you’re now at the end of your tether and desperate to know either way so you can both move on, whether that’s together or separately. Did you know that 82% of cheating partners do so in the weeks and months after childbirth? 68% of women said they’d green light an affair if there was no chance of their current partner finding out. Read our recent “20 Shocking Facts About Cheating Partners” news post for more shocking facts and information on Cheating Partners and Unfaithful Spouses. Cheating Partner - So what now? Firstly, you need to hire the right investigation agency. This is an unlicensed industry at the moment and as a result full of unscrupulous individuals who have no formal training and sub-standard equipment. Don’t be fooled by a glossy website that promises the world. These individuals are no cheaper and results in you having to pay twice or worst case scenario, a compromise occurs so your partner is aware that you’ve instructed a Private Investigator to look at them. Click on the link below for further advise on what to look for in an investigator. Once you’ve conducted your research into a private eye, private detective, private investigator or investigation agency, whatever you want to refer to it by, you then need to decide on the best course of action. At Titan Private Investigation, we conduct free consultations so that we can design a bespoke cheating partner / marital investigation package tailored around your objectives and budget. This can be done by email, our confidential contact form, on the phone or in person. We’re happy to meet you at one of our 4 offices in Derby, Nottingham, Leicester or Sheffield, at your home or at a location of your choice, such as a coffee shop. Conventional Surveillance is physically following someone, whether that be on foot or in a vehicle. We generally advise that 2 surveillance operatives are deployed so as to allow tactics to be utilised that increase covertness, resulting in less likelihood of losing the subject or compromise. If the budget only stretches to one operative then so be it, however our case handler will advise you of the downfalls. GPS Vehicle Tracking is where a devise is placed on a vehicle covertly that records and reports the vehicle’s location up to every 10 seconds. This allows you to monitor the vehicle ‘live time’ or interrogate where it’s been after the event. In some cases, it may be beneficial to deploy both of the above tactics. For example, when the vehicle goes to a location of interest you may want to deploy a conventional surveillance to gather evidence of who he/she is with and what they are doing. Within 24 hours of the surveillance concluding you will receive a comprehensive report outlining the subject’s movements incorporating imagery from the surveillance. You’ll also receive a contemporaneously written evidential log and all of the unedited video footage. All of our evidence is gathered lawfully and of a standard to stand the scrutiny of a court of law if required. Catch a Cheating Partner - Who do I contact?